Alright loves… before I even get started with today’s post I have to talk about TV. Y’all know I love TV and proabably definitely watch too much of it. First off, Game of Thrones. ARYA. THAT IS ALL. I love the two little girls that made it through, they are incredible and deserve to be there. But I loved The Lab so dang much. 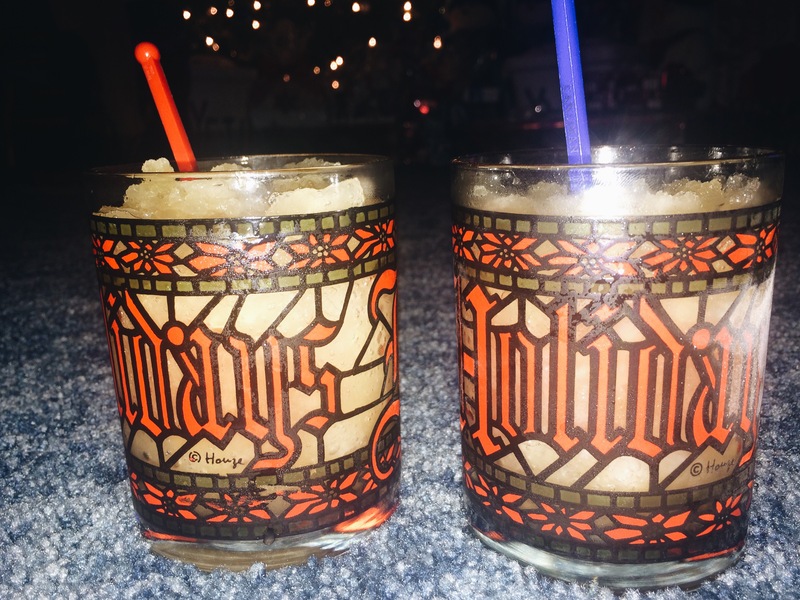 Every Christmas, my Grandpa makes Whiskey Slushes for the family. We only have them at Christmas, so they’re special. We LOVE these and honestly, they’re usually gone within 2o minutes. Now, I never thought I’d think of a more perfect time to serve these than after church on Christmas Eve. But the other day, I was going through my recipe box (my favorite gift from one of my bridal showers… read more about it here) and found the Whiskey Slush recipe. I realized THIS is the perfect drink for Christmas in July! So grab your ingredients and mix them up now, and then again at Christmas. Trust me… you will LOVE them! Start by steeping 4 tea bags in 2 cups of water for about 10 minutes. Add 2 cups of sugar to large bowl, and pour tea over. Stir until dissolved. Next, it’s time to add in al the “wet” stuff. Mix in 7 Cups of Water, 1/2 can of Frozen Lemonade , 1 can of Frozen Orange Juice, and 2 1/2 cups of your favorite Whiskey. Stir well. Fill a container 3/4 full with your mixture and freeze. When you’re read to make your drinks, chop up your frozen mixture a bit. Use an ice cream scoop to divide into glasses. Top each glass with Sprite, and serve with a stirrer. Alright loves… my post may/may not go up tomorrow. If not tomorrow, it will be up Friday. I’m working late tonight (we’ve got an international soccer game at Comerica tonight) and then waking up early to head Up North for the weekend on Thursday. Since I’m traveling, the post might not get up until Friday. The best way to know when it goes live? SUBSCRIBE!